One of the best ways to make widespread change is to identify trends across your fleet. Whether it’s due to sharp turns or natural hazards, certain locations may create more risky driving situations than others. 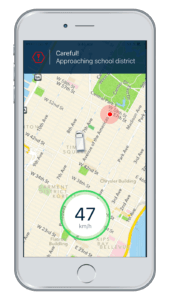 GreenRoad’s fleet management hotspot tool lets you identify specific geographic regions where your fleet most frequently engages in risky driving manoeuvres, so you can inform your drivers and protect your fleet.